What I like, what I've seen, what inspires me, everything about fashion. Lifestyle, celebrities and parties, if it is here it is because I was there. All my posts are not sponsored in any way, all the products I've written about are featured because I like them and because I've been invited to press events where I've seen them. I've enjoyed the Bank Fashion Press Day and I've picked some of its items ranging from the several brands owned by it. There is a choice of styles perfect for anyone taste or for different moods and with 90 stores nationwide you just have to go and immerse yourself in this lifestyle brand. 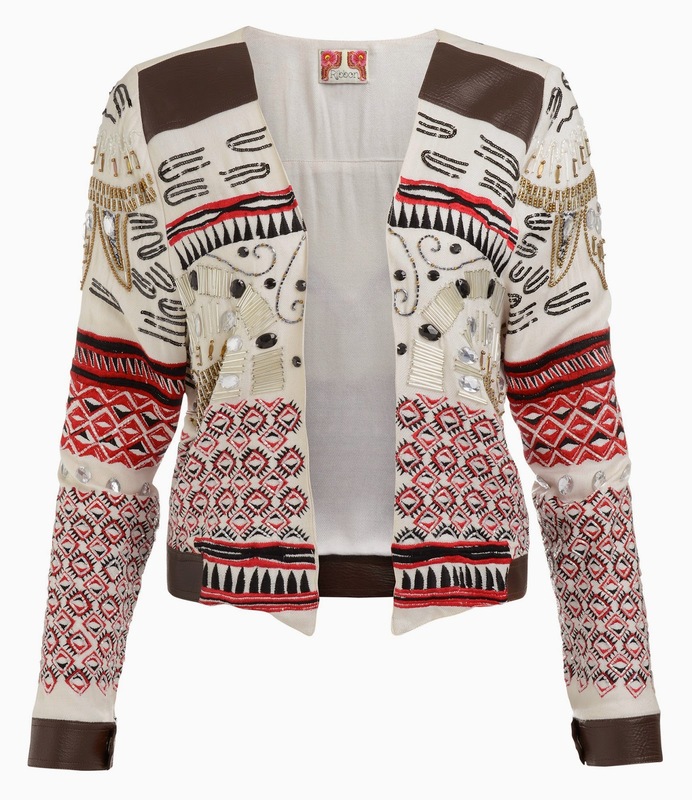 This statement jacket is fantastic with the bejewelled motif on the front and beads embroidery on the shoulders. Part of the trend " Spice Trail" I am sure it will be a best seller priced at £ 78.00. 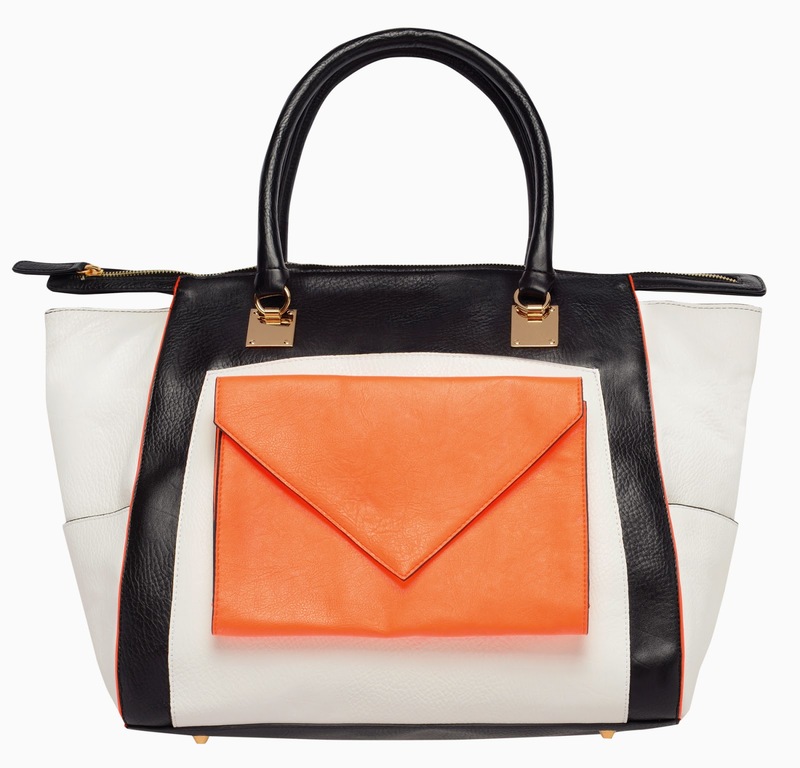 This neon pocket bag is great for its size, the bright orange clutch detachable and the cross body strap. Perfect for travelling or for one of those very busy days when you need to carry half of your flat around. 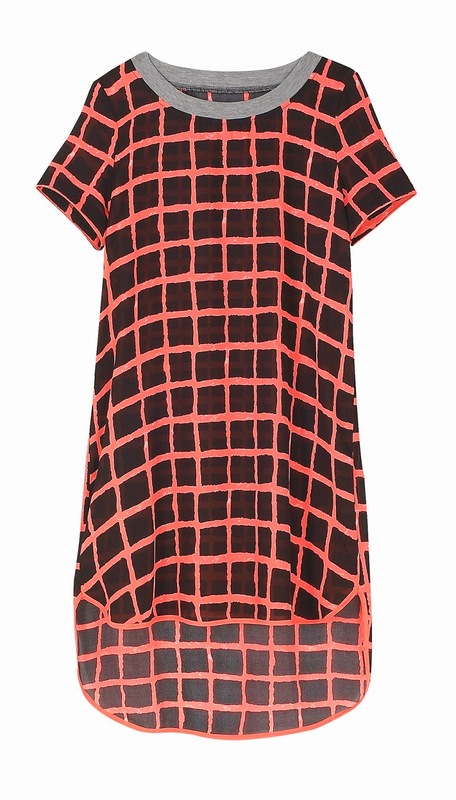 This geo print dress from Ribbon is a real bargain at £ 22.00. Navy colour with orange grid this is one of those dresses that are worn all year around, because if it is perfect for the summer, when it becomes a bit nippy, adding some clever layering like a cardi, a pair of leggings or trousers, makes it great even in the autumn or in the spring. 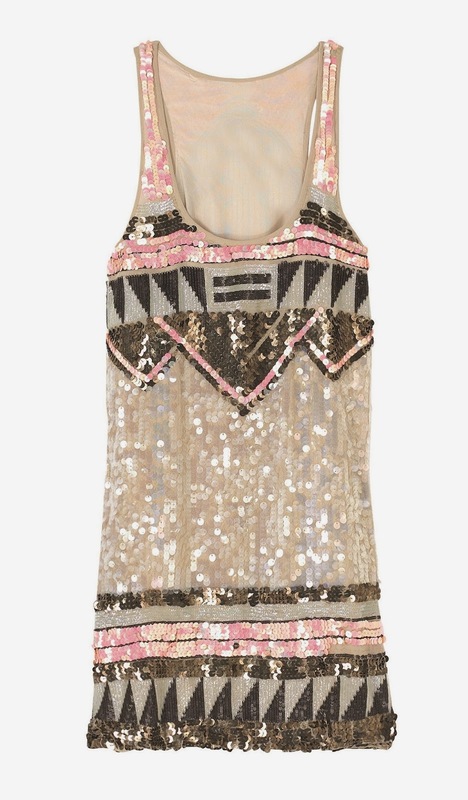 This Pink Soda sequin dress will be the WOW dress when out clubbing. Just add a sparkly pair of stiletto heels and then you can paint the town red. Pink Soda will be part of Bank Fashion for the Spring Summer 2014 so check the website to know when it will be available. 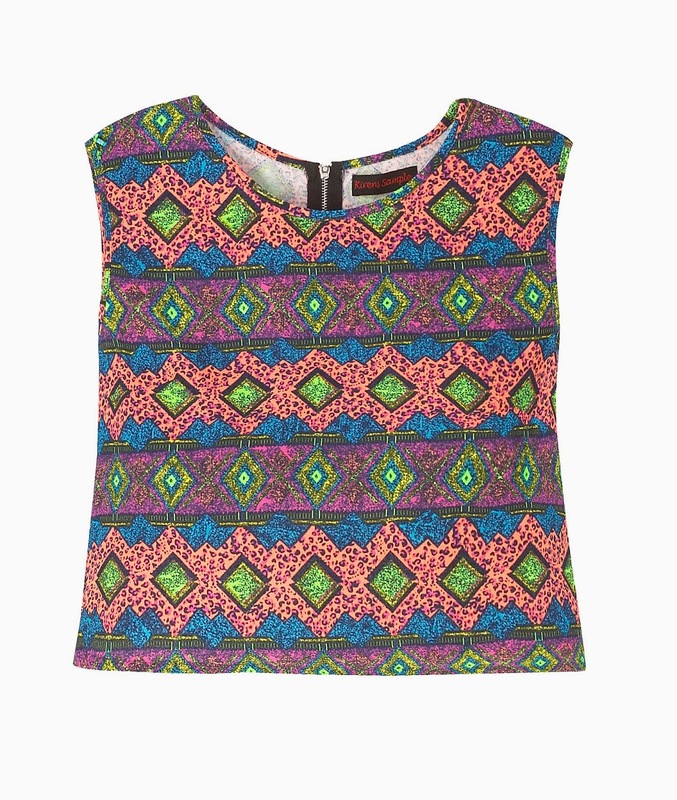 This bright top at £ 20.00 has got a pair of matching skort which is a mix between the shorts and the skirt and it is from the Neon Jungle trend with streetwear looks and lots of colours in the neon palette. Check for more styles and great prices at www.bankfashion.co.uk and you will find all the latest arrivals and the store near you.